Two individuals robbed a man at gunpoint and then stole his car. Roosevelt, NY - May 4, 2014 - First Squad detectives are investigating a robbery that occurred in Roosevelt on Saturday, 05/03/14 at 10:42 P.M. According to detectives, two male subjects, armed with a Tech-9 handgun, jumped over a fence and approached a male victim, 59, who was exiting his vehicle on Decatur St. The subjects yelled for him to get down on the ground and went through the victim’s pockets, removing cash. Subject #1 then struck the victim on the back of the head with the gun. Both subjects jumped into the victim’s vehicle and drove northbound on Decatur St. and west on Underhill Ave. The victim’s wallet, containing debit/credit cards, which was in his vehicle, was also taken. The vehicle is described as a black 1997 Mercedes-Benz N.Y. registration GGJ-3065. The victim sustained a laceration to the head and refused medical attention at the scene. The subjects are described as male blacks in their mid 20’s, approximately 5’10” tall and wearing black ski masks. Subject #1 was wearing green pants, a gray shirt and was armed with the gun. Subject #2 had a slim build. No further description is available. 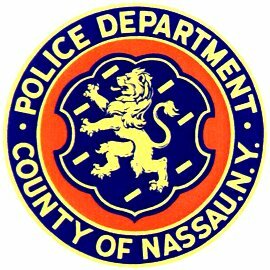 Subject: LongIsland.com - Your Name sent you Article details of "NCPD Investigating Armed Roosevelt Robbery"